An attractive design of green eyed spotted and striped cats. The kit has large scale black and white charts printed 10 stitches to one inch on two A3 sheets each with key. 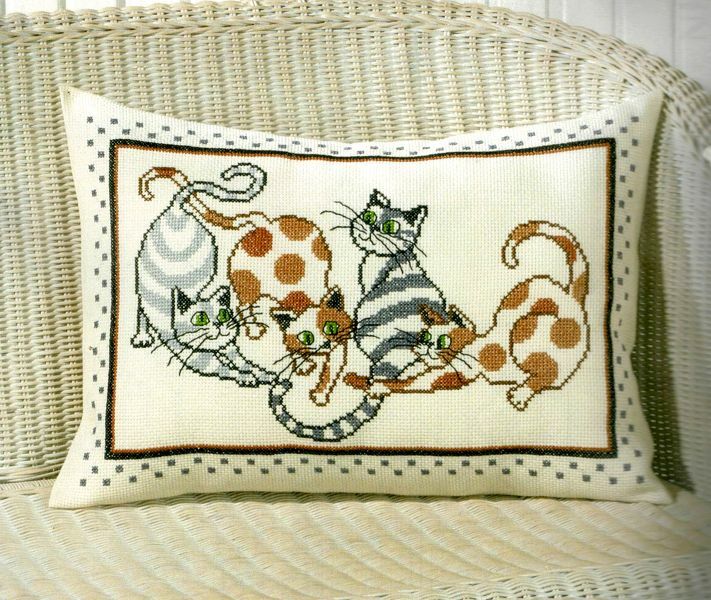 The pattern is worked in whole cross stitch and backstitch using seven shades of no. 5 pearl cottons over 170 by 120. The background fabric forms much of the pattern and the design is stitched on one half, leaving enough for backing as a cushion.